In December 2018, Hits Radio’s Cash for Kids – Mission Christmas Appeal received a grant of £1000 from the East Lancashire Masonic Charity, following an urgent appeal days before Christmas. 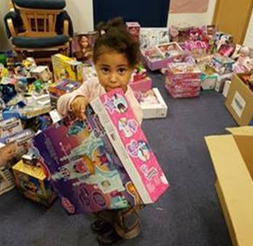 Mission Christmas is Cash for Kid’s biggest campaign which aims to give Christmas gifts to the almost 1 in 3 children living in poverty in Greater Manchester. They work with several organisations to help them identify those children, including social workers, children’s homes, food-banks, women’s refuges, Greater Manchester police and more. Mission Christmas 2018 ensured over 37,000 local underprivileged children had presents to wake up to on Christmas Day! Mission Christmas is more than presents, with the help of over 800 volunteers and 900 collection points, and with the help of this grant they were able to give these children hope, showing them someone cares, and allowing them to still believe in the magic of Christmas. The application was made to the East Lancashire Masonic Charity on Wednesday 19 December 2018 and due to the urgency of their appeal, their application was approved and paid on Thursday 20 December 2018. 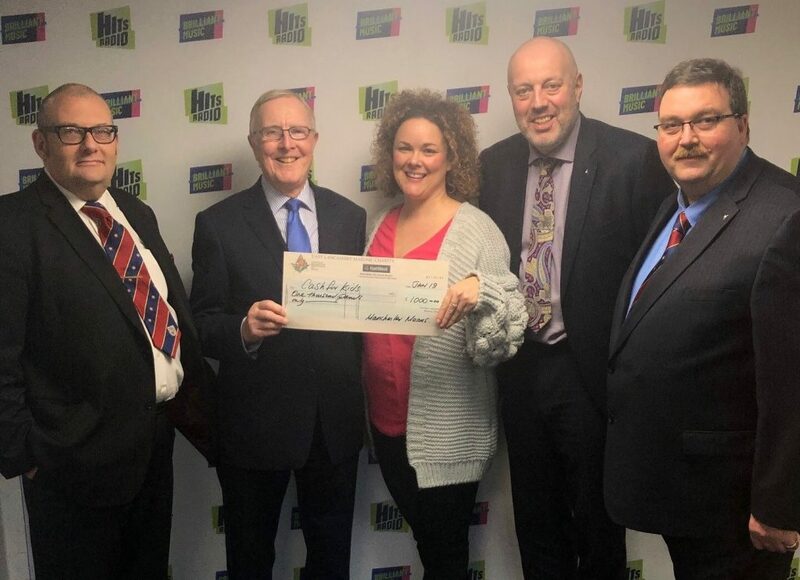 The cheque was presented by WBro Chris Welton, Assistant Provincial Grand Master for the Manchester Districts, on behalf of the East Lancashire Masonic Charity to Michelle Williamson, Charity Manager at Hits Radio. They were accompanied by other Manchester Masons – WBro Paul O’Carroll, City Derby District Chairman; WBro Tony Stephenson, City Derby District Charity Steward; and WBro Stephen Thomson, City Sykes District Charity Steward.